NWCT is excited to host a networking hour with acclaimed networking guru Kelly Hoey, whose book BUILD YOUR DREAM NETWORK helps readers build and activate powerful networks to achieve both their long and short-term goals. 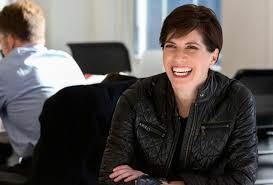 Kelly Hoey is a writer, investor, connector, and networking expert, lauded everywhere from Forbes (“1 of 5 Women Changing the World of VC/Entrepreneurship”) to Fast Company (“25 Smartest Women On Twitter”). In BUILD YOUR DREAM NETWORK, she reframes networking for the modern era, where everyone is posting, liking and friending fast and furious but failing to leverage their connections thoughtfully. However the reality is that whether landing a new client, new job, or a coveted board seat, most business and career problems today have networking solutions. Kelly will teach us how to master networking in the modern age, including a few of her signature tricks and best practices, and show how small changes to our daily routine, simple generosity, and goal-focused planning can lead to big opportunities. A buffet of light and healthy food will be served as well as an open bar for wine and beer.